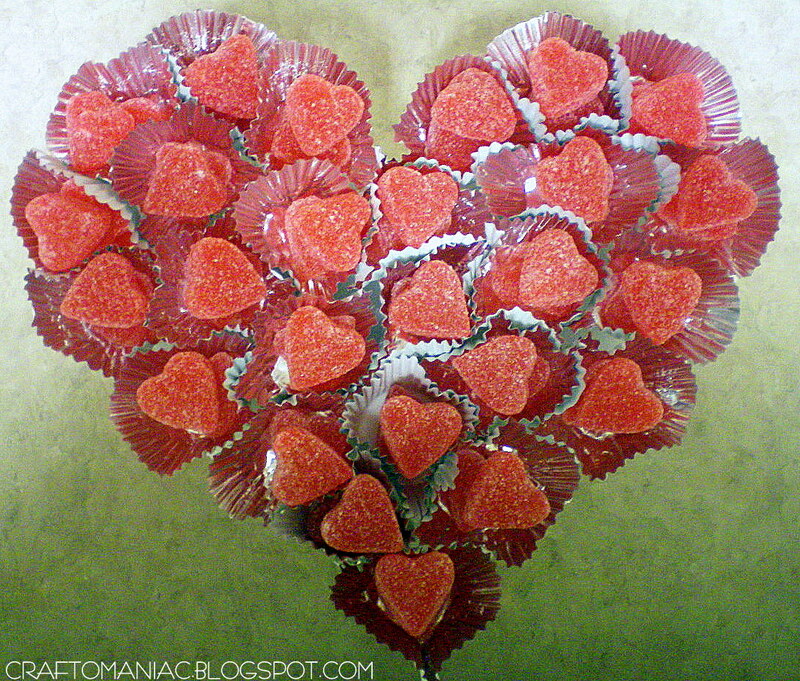 I made this Candy Cup Cake Heart Wreath today. 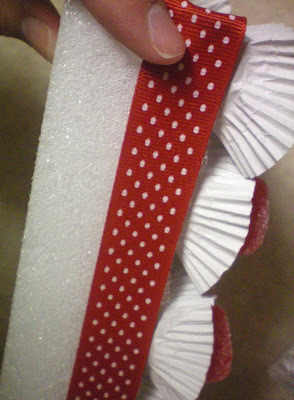 Supplies along with hot glue gun and ribbon. HOW TO: First thing I did was cut out an 81/2 inch paper heart from my cricut. I held the paper heart in place over a thick long piece of styrofoam and with a steak knife carefully cut out the styrofoam heart. 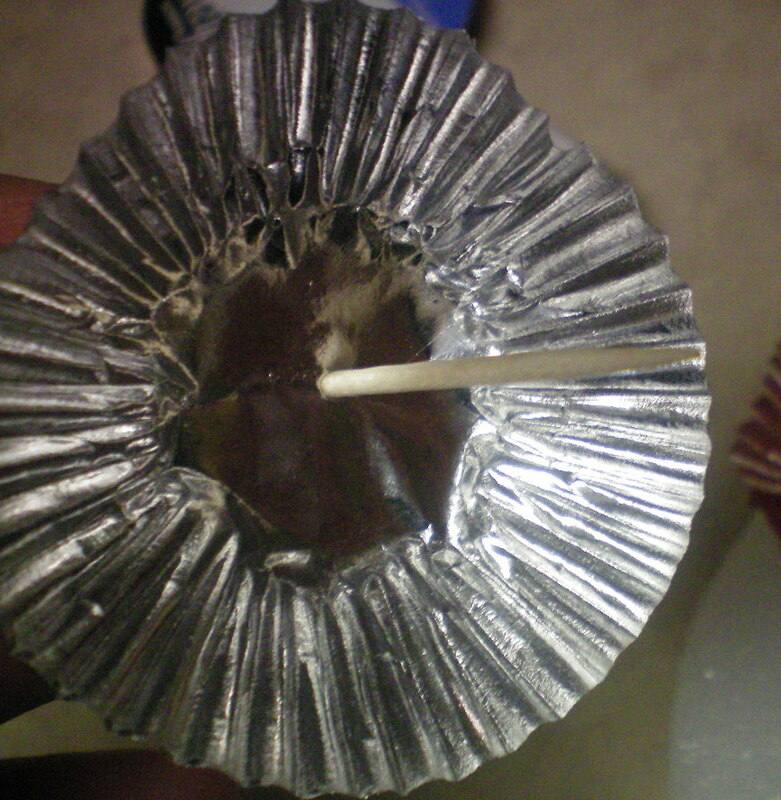 Next I took mini cupcake liners and pierced a toothpick through the bottom. 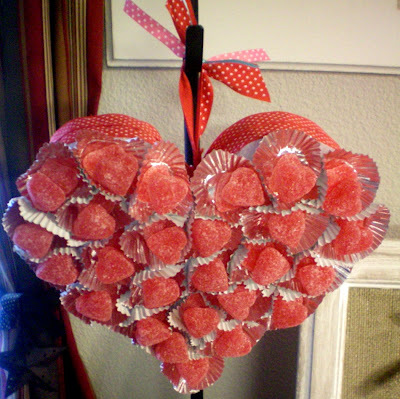 and because I didn’t want the tooth pick coming out the other side of the foam wreath I had to stack two cinnamon hearts. Both I pushed onto the toothpick. 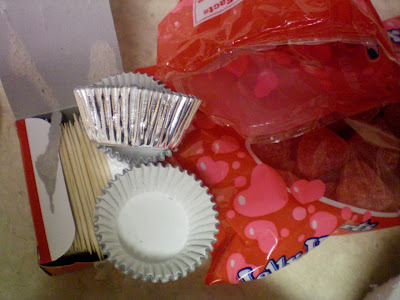 I then placed the candy cupcakes where I wanted them and slightly pushed them into the foam. To not stab myself and to get them flush with the foam, I used something flat to finish pushing them in. 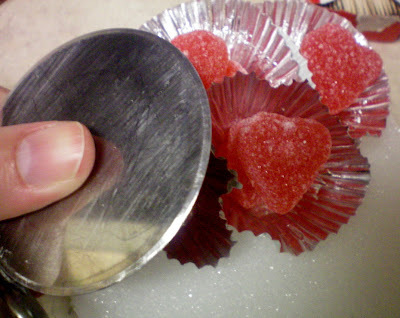 As you can see I used the flat side of a pizza cutter. It worked great. You will continually do this part until your foam heart is full. If you want to just do the hearts, I would suggest painting the foam or covering it with paper or something first. 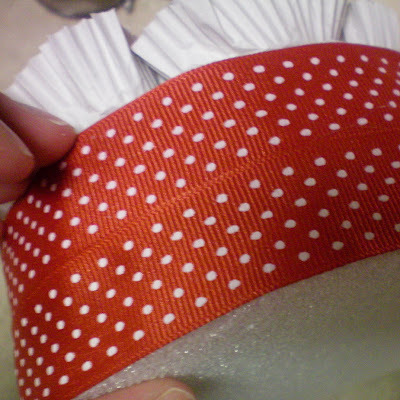 Next I hot glued two strips of grosgrain ribbon all the way around the foam wreath. You can also do a much thicker ribbon if you choose, I used what I had. 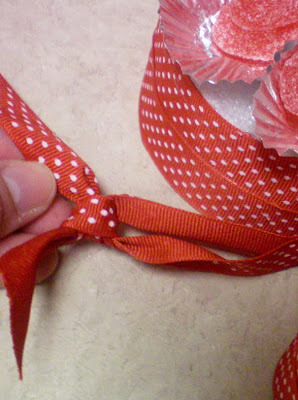 The ribbon will look like this when all finished. At the top center of the heart I brought the remaining ribbon together and tied a knot. 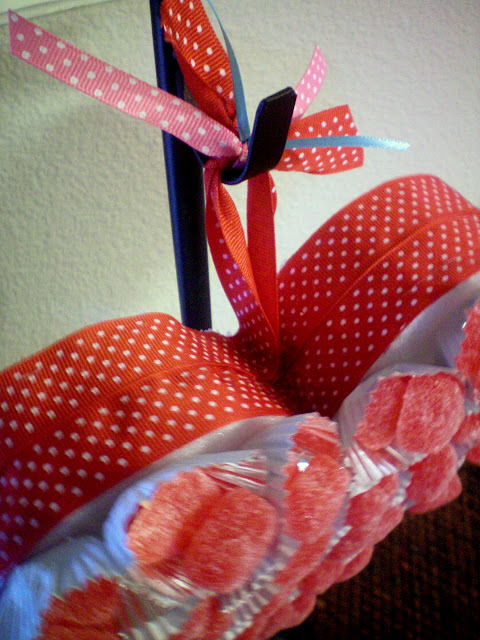 As well as added two more colors of ribbon. UP CLOSE! I am sure there is something out there you can shalack it with, but like my Halloween trick or treat wreath, I just covered it in three bags when storing it away, and tied a knot real tight to seal it shut. I also placed the trick or treat wreath in my home in a closet on a high shelf. I will do the same with this wreath. I am going to be honest I DON’T LOVE THIS craft project, I don’t hate it either. Its just kinda EH! but please don’t tell me if you don’t like it! WINKS! THANKS FOR STOPPING BY- HAPPY CRAFTING! I really like it! 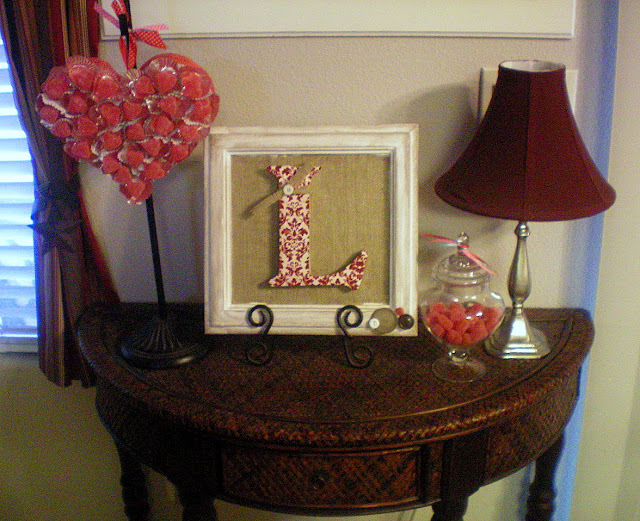 I’m a big fan of decorating with candy so this is right up my alley!! Well I LOVE it! Any project where I can eat and craft gets a big thumbs up from me. =) And I love early holiday planners! I would love to link to this if you didn’t mind. Jen that is so DARLING!!!!!!!!! I WANT TONE!!! 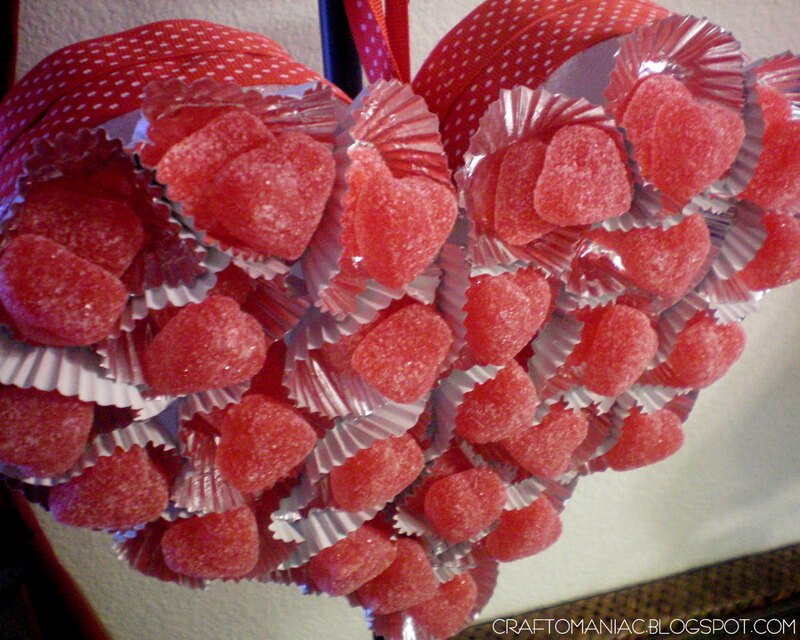 It is so creative and cute!! I love it!!! 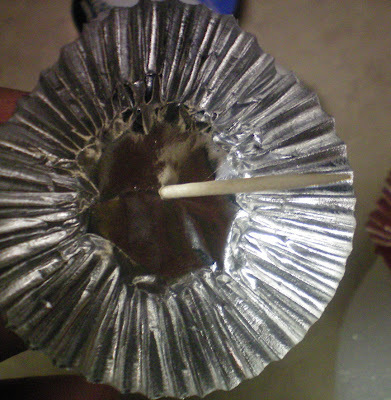 Such a shame to waste the sweets on the project. I think I would do like La said and eat the supplies…lol. I think it turned out darling! 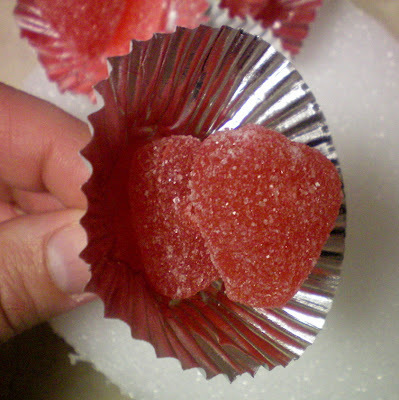 And those little sugary-cinnamon hearts are my favorite valentines treat, so I’m pretty sure I’d just eat it instead of saving it for next year!